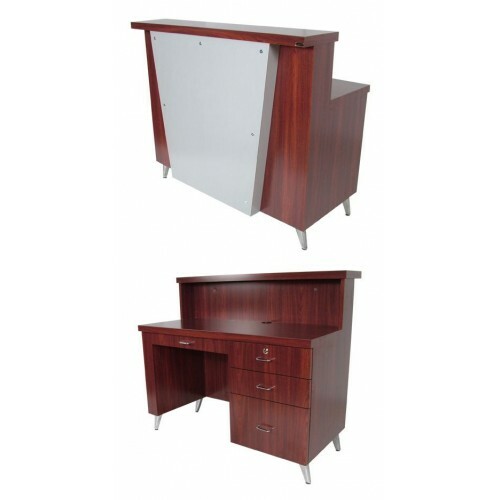 The Collins MID-TOWN 578-48 Reception Desk: With cast aluminum legs and tapered geometic overlay, locking cash drawer w/cash tiii, uilty drawer. and pencil drawer. This desk can also be made with a pull-out keyboard tray in place if the pencil drawer. Measures 48"W x 24"D x 42"H.